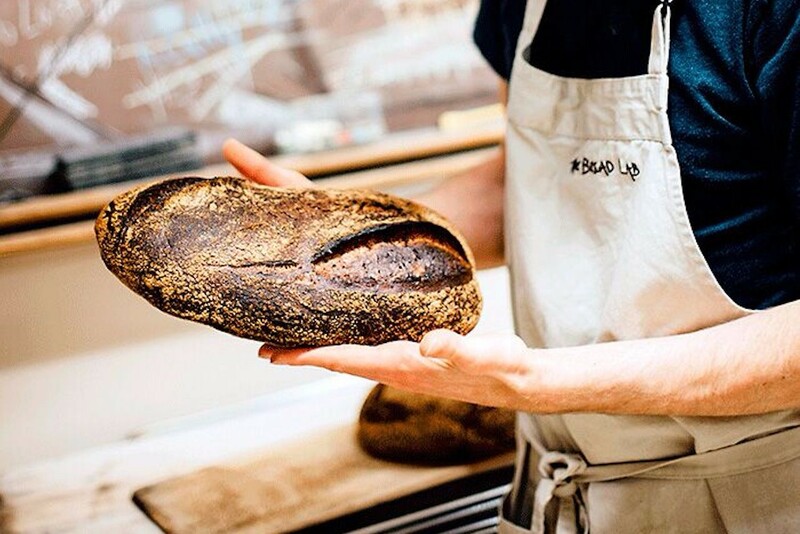 There are bakeries using local grains and ingredients, and then there’s Seylou. 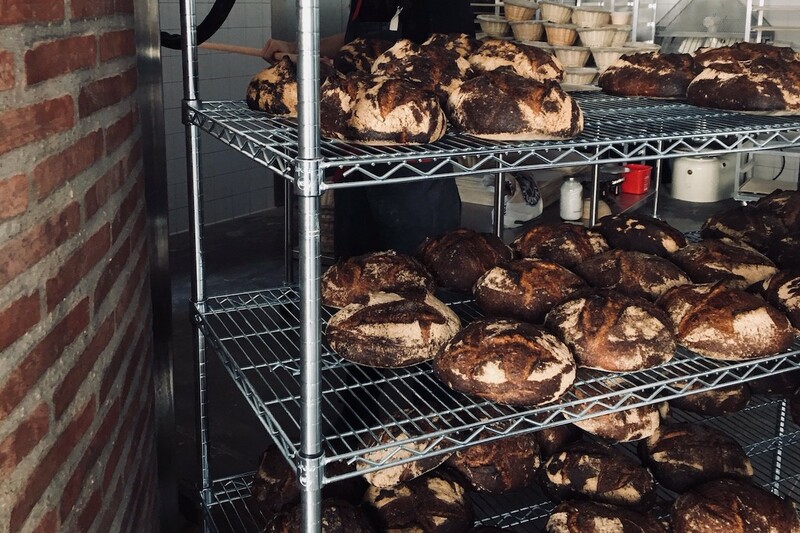 The Washington, DC bakery and cafe may have only opened last week, but it’s already making waves for its massive mill, which head baker Jonathan Bethony uses to grind whole grains into flour for bread baked in ripping-hot wood-fired ovens. The day’s unsold bread is donated to Bread for the City, a nutrition assistance program for low-income DC residents—that is, when it doesn’t sell out within hours of opening. Jessica Azeez, Bethony’s wife and business partner, acknowledges the challenge of balancing customer tastes with the realities of a grain-to-loaf operation, but wouldn’t have it any other way. We caught up with her about how she manages it at all, and what a day looks like in the life of a runaway success. You and Jonathan have used the term “living flour” to describe the flour that you mill. What does that mean? Coffee that’s ground right before brewing tastes fresher than ground coffee that’s been sitting on a shelf. It’s the same with flour. When you mill grains and leave in the whole components, like the germ and the bran, then bake with them almost immediately, it just has so much more in it. It’s more vibrant than bread made with flour that’s been sitting on a shelf for a year. We have a mill in the bakery and grind all our own grains, and we bake with them so quickly that the oils in the germ never have a chance to go rancid. It results in a fresher product overall, with a better flavor and more interesting texture. We can’t speak to the nutritional science of it, but we notice how we feel, and for us it’s just good on the body. Do you have any plans to expand the milling part of your business--perhaps to sell flour to your customers or other bakeries? We’re considering it, but that may come down the line. When our customers see the mill, they get curious, and a few home bakers have asked us about the flour itself. They want to bring it home and experiment. We definitely view the mill as a unique way to differentiate our bakery, and to show our customers how bread tastes with flour that’s truly fresh. We’re a small team, and every aspect of owning a business can be a struggle. So conversation and human support—that’s the most imporant thing. Your menu is compact, with just a few breads and pastries. That’s a departure from bakeries that offer a ton of options. We just opened at the end of November, so we’re still tinkering with recipes and seeing what works best with our ovens and a small crew. We’re looking to build out a small cafe next month, and we’ll add some lunch items then, and pizza once a week, but for now we want to nail the basics. We only have one bread baker and one pastry chef right now, and we’re doing about 150 loaves a day, but we’re looking to ramp up production. We’ll add other things seasonally and based on the ingredients available to us. Right now, for example, persimmons are ripe and ready to eat, so we’re working those into our menu. And we work with local farmers for the grain for our flour, too. How have you used your website and social media to communicate that to your customers? It’s a hard process to navigate. Ever since the Washington Post did an article on us, we’ve sold out each day, and we don’t ever want to upset customers who’ve come a long way for our bread. 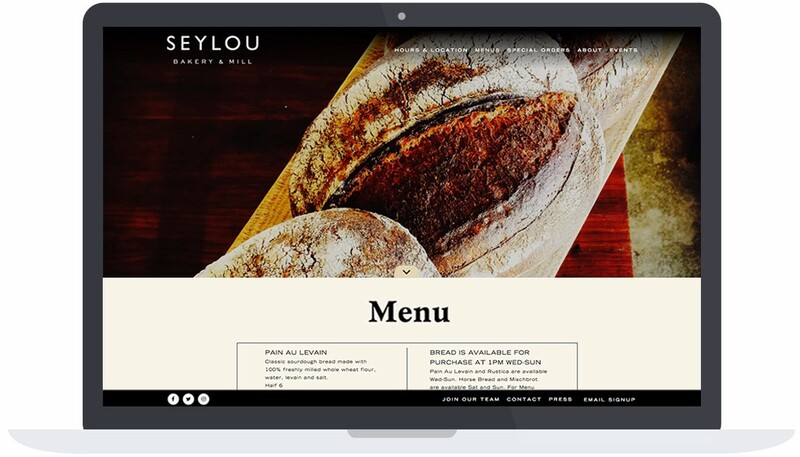 The menu page on Seylou's website. We’re looking forward to using our website to show our daily and weekly menu, and to getting more active on social media to share the day’s offerings for items where we need to be more spontaneous. And with the holidays coming up, we’re also using the website to sell gift cards that people can buy for anyone. It sounds like an incredible challenge to balance spontaneity with the demands of a daily bakery. What tools have you found helpful to manage that? Technology for accounting and POS and such are helpful for the backend, but for us it really comes down to dialogue. Every morning we check in before we open, to discuss the day’s menu, what we need to focus on that day, employee schedules and so on. We’re a small team, and every aspect of owning a business can be a struggle. So conversation and human support—that’s the most imporant thing.